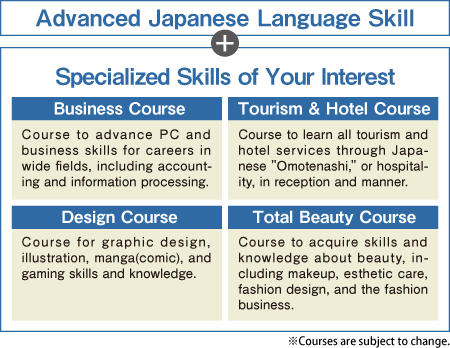 This course is designed for students with intermediate Japanese language skills, who have studied at Japanese language schools for more than six months. 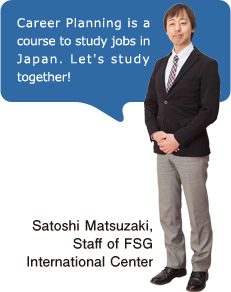 Students can take advantage of their skills to build their careers in Japan or their countries as well as advance to FSG schools to acquire specialized skills. Cooperate Accounting Staff, Logistics/Sales, Trade, Travel Agency, and so on.  The practice-oriented curriculum helps us step into the field of international business. We also learn business manners and communication skills for job hunting. In our five-day course, two days have morning-only classes so that the students can work while attending school.